Mandela day - The Cape Academy of Maths, Science & Technology: Centre of Excellence! 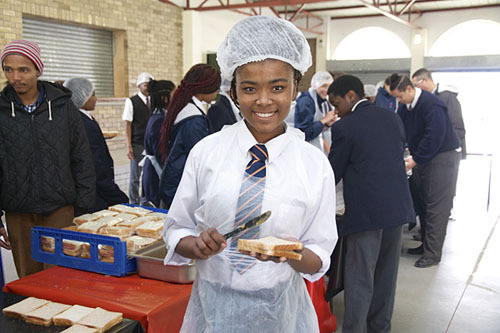 ... "Praestantia"
This year’s Mandela Day initiative saw our learners participating in “Sandwich making”. During the course of the week teachers and learners donated monies which allowed us to purchase the ingredients we would need. The initiative took place during a 2-hour session where each class got 15 minutes at the workstations and was facilitated by the Student Leadership and teachers. Step 6: Learners exited the workstations to allow the next group in. 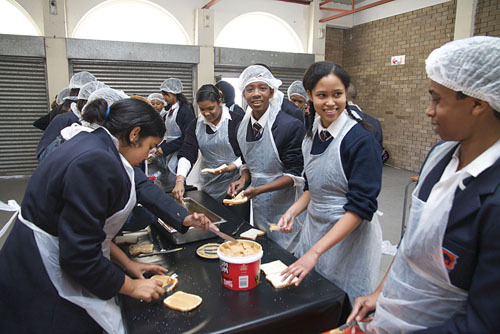 The initiative is the first step in creating a culture of giving amongst the learners. It is crucial for them to understand the importance of giving back to their communities. 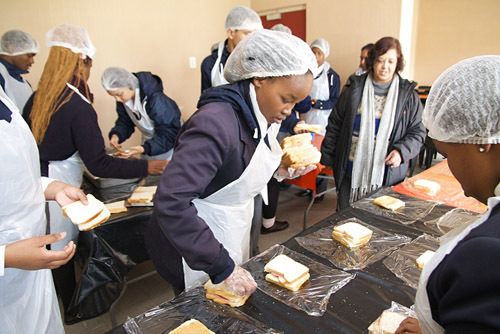 The sandwiches were donated between Constantia Primary School, Retreat Day Hospital and The Wynberg Night Shelter.